Enjoy swimming without feeling shame and embarrassed.Very comfortable and material especially designed for swimming. 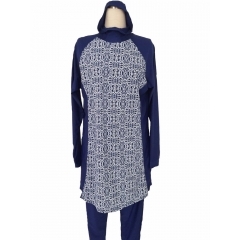 Whether You Are Looking For Islamic Swimwear, Or Are Motivated By A Search For The Ultimate In Sun And Skin Protection, You Will Enjoy Muslim Two-Piece Modest Swim Suits. Not Only Fit Muslim Women, But Also Other Women And Even Men Who Love The Modest Style. Modern Muslim swimsuit,beach swimear for Muslim womens.